I am going home. I am always excited to do so. I miss my family, old friends, and the down to earth folks that call my little corner of the mid-west home. 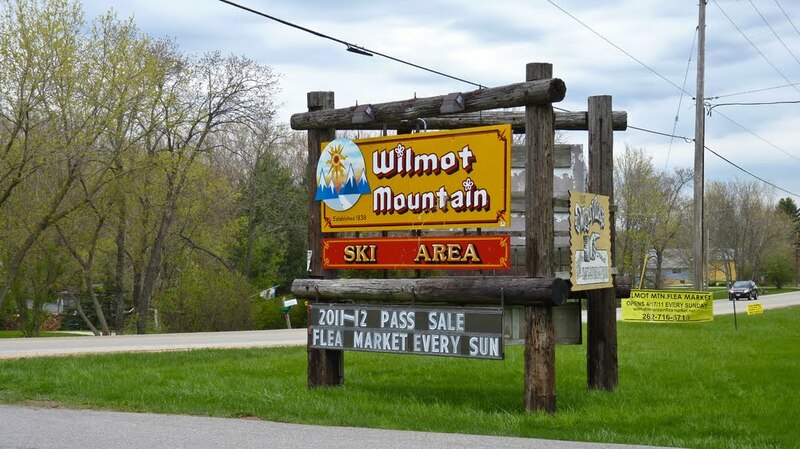 This trip is a special one for me because I get to share a little bit of my crazy pro skiing lifestyle with my people at home in Wilmot, Wisconsin. December 16th is a Friday night just around the corner. The Telemark Skier Magazine van will be pulling into town, and throwing a movie premiere party at 8pm in the Iron Kettle Bar at Wilmot Mountain. As a member of the TSM Crew, I have poured a lot of myself into this movie and the magazine. Celebrating the culmination of all the hard work with my hometown is a blessing that does not fall short on me. 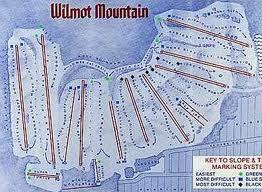 I am super pumped to be able to celebrate another winter with all of my people in Wilmot. ^My roots run deep through the earth under this sign. This place flows in my blood like the swift muddy waters of the Fox River. Every time I drive past this sign the nostalgia overcomes me like the spring floods over the banks of the Fox. 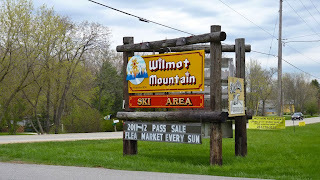 Home is where the heart is, and there will always be a piece of mine pouring from the snow guns into the sky over the slopes of Wilmot Mountain. ^The guns are blowing now with some cold temperatures settling into the Midwest. The boys in the maintenance garage at Wilmot Mountain are bustling and hustling to get some coverage on the ground. Snow making is an art here, and these guys are a pretty rough and tumble group of Picasso's. I hope the weather comes in their favor. 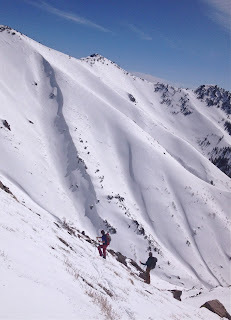 I'd love to be able to make some turns with my old man when I get there. ^The lights of Wilmot at dusk is a beautiful thing. Winter is settling in, and the holidays are approaching fast. Friday night, December 16th, is just around the corner, and I am wrapping up the finishing touches to get ready for the premiere party. Everything is coming together, and I am getting super amped for the trip. So here is to cold temperatures, blowing snow, a warm bar, a good ski movie, and a cold beer with some good folks in a great place for one hell of a good party. Cheers.